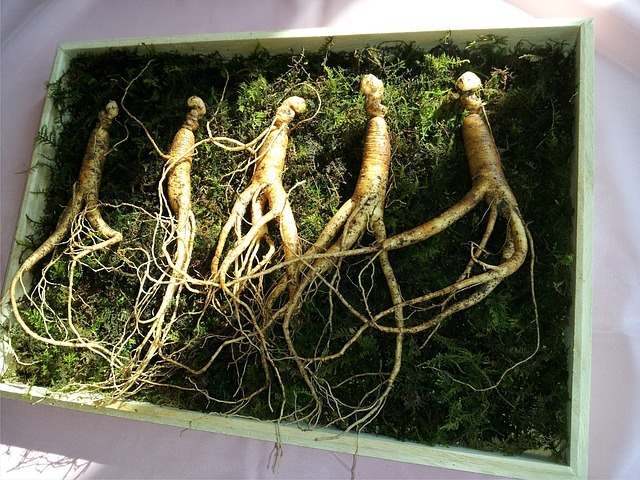 Ginseng is a craggy, funny-looking root, and one of the better-known Chinese herbal remedies. 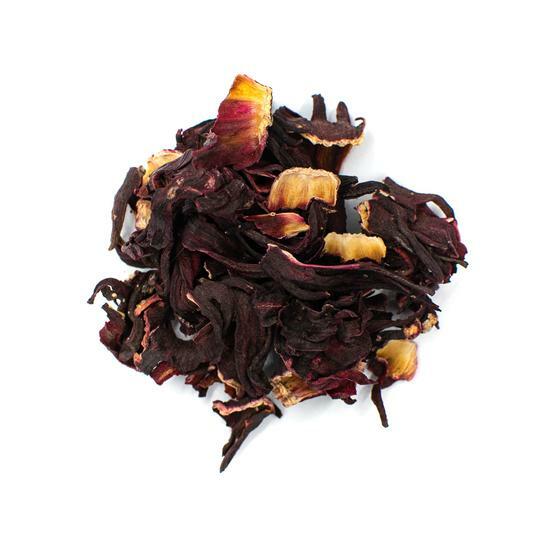 The root brews into a lovely golden tea and has a bold, earthy and bitter flavor. 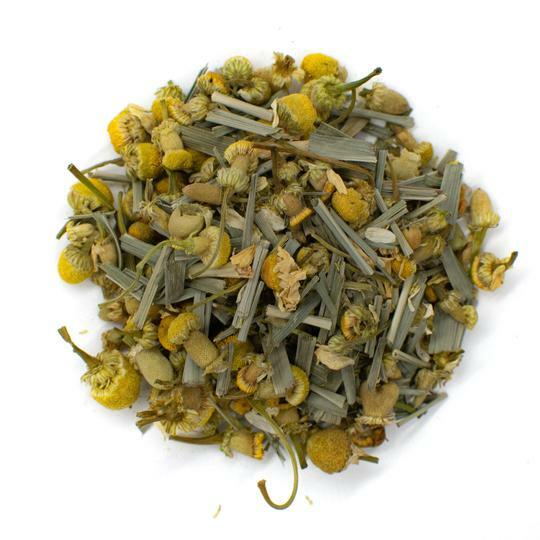 It is considered a premier supplement in Chinese medicine. Ginseng has been used medicinally for thousands of years and is best known for strengthening the body's immune system, increasing energy and endurance and improving sexual function. In modern societies, we rarely depend on herbal remedies as a treatment of disease. But in recent years, more attention has been put on traditional Chinese medicine and other medicinal traditions. The question is: Which one of ginseng's claims of healing pan out? Are ginseng’s health benefits backed by any hard science? 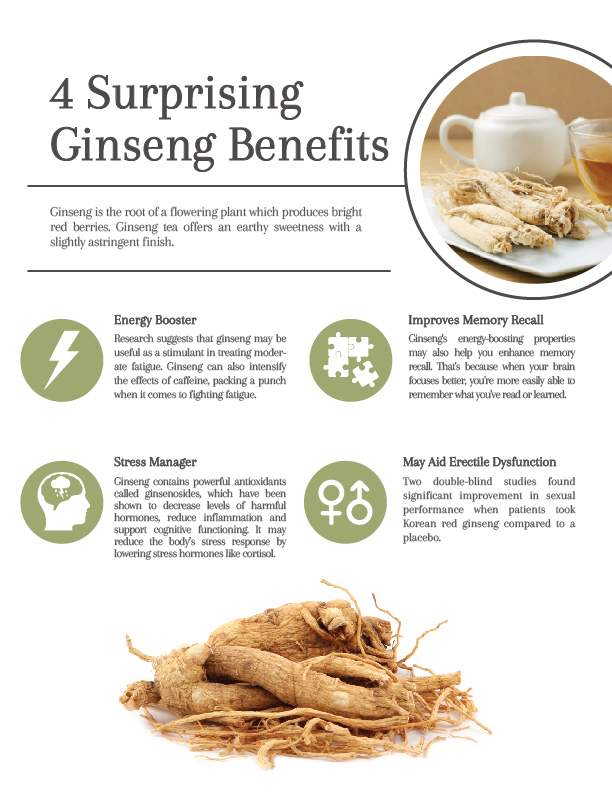 We did the research to bring you several scientifically-backed ginseng benefits. We’ll also talk about how you can best brew up a cup of this superfood. There are several varieties of ginseng. All varieties are roots which grow as part of the group of plants called Panax ginseng. The more popular varieties of ginseng include Asian ginseng, Korean ginseng and American ginseng. Ginseng is the root of a flowering plant which produces bright red berries. Although the berries are not typically consumed, there is some evidence that they might play a role in skincare and anti-aging (1). Ginseng used to be harvested from the wild, but recent over-harvesting has meant that most ginseng consumed is cultivated. It needs the grow for six years before reaching a large enough size to harvest. The major producer of ginseng remains in China, where the root originates. It can be consumed fresh, but finding fresh ginseng is very difficult. Instead, it’s either consumed in its dried root form, called white ginseng, or steamed and then dried, called red ginseng for the reddish tinge which this processing imparts. According to traditional knowledge, red ginseng is supposed to be warming and energizing, whereas white ginseng is supposed to be cooling. There isn’t much research showing any difference between the two. Ginseng is thought to improve immune function, physical endurance, sexual function, enhance overall well-being and help you resist environmental stressors. Today’s high-stress, high-work world means that many are feeling tired and over-spent a lot of the time. In fact, in the U.S., the seventh most common complaint of people coming in for primary care was fatigue (2). Nearly half of these patients complained of chronic fatigue lasting at least one month. As a testament, caffeine is widely used as a stimulant. Ginseng is a spectacular option to counter fatigue and help you generate the energy to face all of the demands in your day. 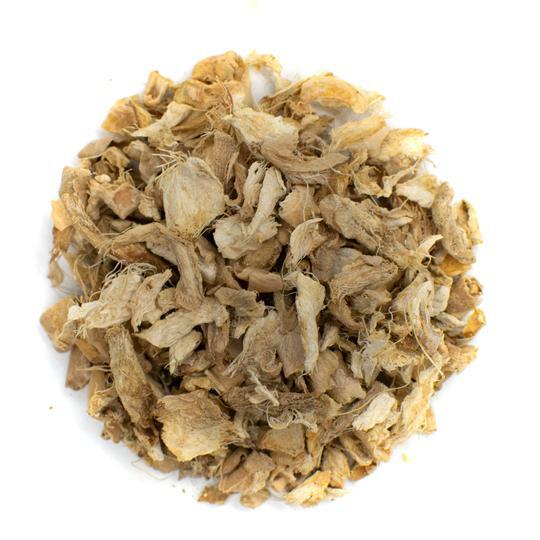 Research suggests that ginseng may be effective as a stimulant in treating moderate fatigue (3). Another study looked at ginseng’s possible effects in improving fatigue in cancer patients and found that over twice as many patients on ginseng saw their fatigue improved and were happy with their ginseng doses versus those taking a placebo. This is good evidence to suggest that ginseng might help you with your fatigue as well (4). High blood sugar and diabetes are major issues, given North America's overly sweet diets. Lowering blood sugar is important in controlling existing diabetes and preventing diabetes. A proper diet, physical activity and medications are important parts of achieving blood glucose level reductions. Many people look at dietary supplements and natural tonics to aid in their overall blood sugar control efforts. Scientific research has pointed to ginseng as having such effects. For example, a study looked at the effects of ginseng versus a placebo in reducing blood sugar levels in 10 patients and found that ginseng was successfully able to achieve blood glycemia reductions (5). Multiple animal studies have backed up these human studies to show lower blood sugar levels upon the addition of ginseng. More studies need to be done to officially recommend as an anti-diabetic drug, but results so far look promising (6). There are effective drug treatments for erectile dysfunction, but these are not without their downfalls. There are concerns about the long-term safety of these drugs. In addition, some men are reluctant to take pills for this problem and prefer natural alternatives. Ginseng might be one such natural alternative to treating erectile dysfunction and poor sexual function. A double-blind study compared the efficacy of ginseng against a placebo and found significant improvements in erectile dysfunction in patients ingesting ginseng in the form of 900 milligram pills three times a day (7). Another study done for 60 men with erectile dysfunction found that 60 percent of those taking ginseng saw an improvement, versus only 30 percent of those taking a placebo. When it comes to improving sexual performance, it seems like ginseng works (8). Perhaps the claim to fame ginseng is most known for is its memory enhancement potential. But does the science back up the hype? A double-blind, placebo-controlled trial following 256 healthy middle-aged volunteers completed a study assessing the effects of a combination dose of ginkgo biloba and ginseng on improving mental performance and memory. Volunteers saw an average cognition and memory improvement of 7.5 percent, which is a substantial improvement to memory (9). Ginseng’s potential to improve memory has led researchers to see its potential as a treatment for Alzheimer’s and dementia. In a study conducted by Korean scientists, adults with Alzheimer’s and dementia were given daily doses of ginseng and followed for two years. Although no placebo was used, the results suggest that treatment with ginseng was safe and effective at stalling the progression of Alzheimer's, which is something conventional drugs often fail to do (10). When affected by stress, changes occur in the human body. The body secretes hormones, and chronic stress can promote the development of anxiety, depression and other panic disorders. Ginseng might be a way to adapt to our high-stress existence and help our bodies better cope with the negative effects. Ginseng contains powerful antioxidants called ginsenosides, which have been shown to decrease levels of harmful hormones, reduce inflammation and support cognitive functioning. Many studies have shown that ginseng is an excellent anti-stress agent and is able to reduce the body’s stress response by lowering stress hormones like cortisol (11). Adding any antioxidant brew to your diet is a good idea, and a ginseng is a great option if you are especially stressed. Ginseng is a powerful tonic that might cause adverse effects as well. Some noted negative side effects from overuse of ginseng are insomnia, breast tenderness, vaginal bleeding, amenorrhea, heart palpitations, hypertension, edema and headaches (12). If you are starting to consume ginseng, start with the lower end of the recommended dose for a few weeks to see how your body reacts, and only increase it if you are feeling good. If you have pre-existing medical conditions are taking medications, consult with your physician before trying ginseng. If you’re feeling convinced enough to give ginseng a try, we’ve got a few preparation tips for you. Ginseng can be consumed as ginseng supplements if you’re looking to just reap the health benefits. But it’s also a widely-used ingredient. The dried roots can be incorporated into a popular Korean ginseng chicken soup called Samgyetang. Tea can be made from the root directly or ginseng powder. The powder is more widely available and is the option you want to go for. 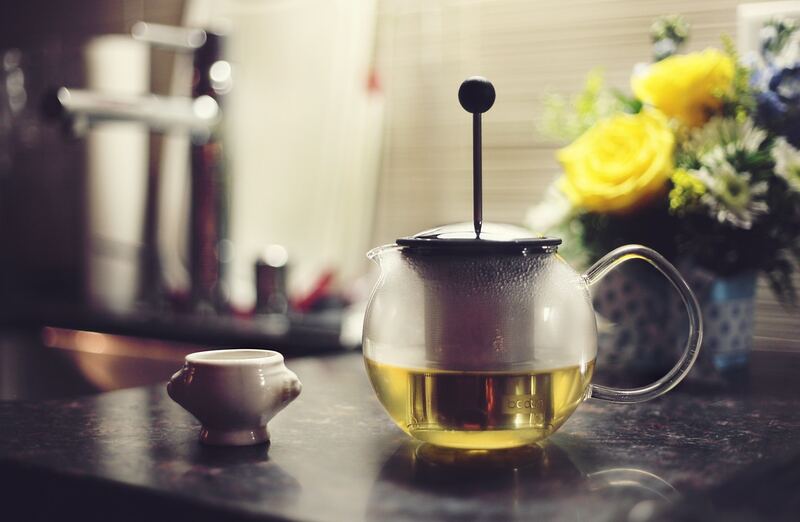 Use 1 teaspoon of ginseng powder per cup of hot water. 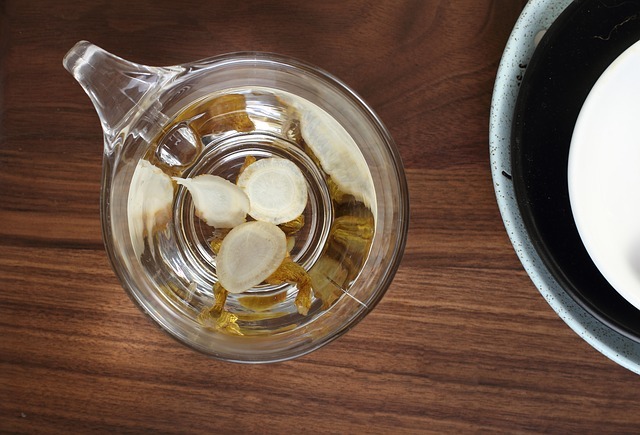 Place ginseng into your cup, adding any additional flavors you’d like. Options include cinnamon sticks, green tea or honey. Pour hot, but not boiling, water over the ginseng powder or ginseng root combo. You can achieve the right water temperature by bringing water to boil and letting it stand for 45-60 seconds. You can let ginseng steep for longer if you are a fan of its especially bold flavor. You can reuse the same powder 2-3 times, to make additional cups of tea, after which the roots will soften and can be consumed. Traditional Chinese medicine recommends ginseng for nearly any ailment, whether it be colds or sweats, low energy or stress management. Ginseng has been used as a health care supplement around East Asia for centuries, and science is reinforcing some of these claims. 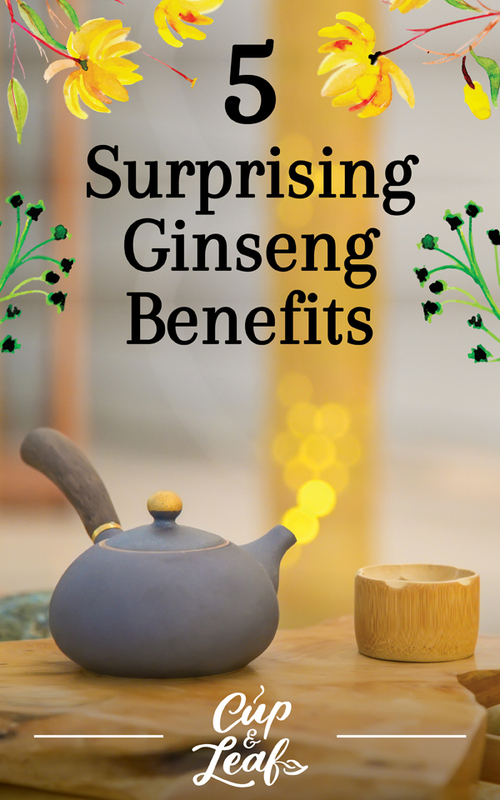 It’s worth giving ginseng a try for yourself to see if you can also benefit from the positive effects.